A Chevron Hello! New Products Available! 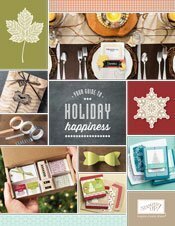 Welcome The Holiday Catalog And More! Chevron! I love to just say it! It is such a fun pattern to use in crafting, isn’t it? Chevron’s are hot right now! In fact, all geometric shapes and arrows are really trendy at the moment. The new chevron ribbon is a must on your wish list. It is super cool! I mixed up DSP, along with the cloth ribbon and washi tape! Let’s check out today’s card! Today the Holiday Catalog is LIVE!!! So many beautiful items to make your holidays sparkle! 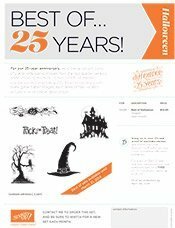 Best Of 25 Years – August Stamps!!! PDF Link To The August Stamps! Click Here! 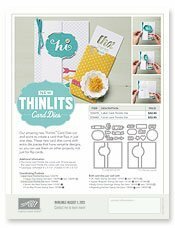 Thinlets are here!!! These really rock my socks! Click Here For A Video How To On The ThinLits! There are some products you just have to see in action before you realize how much you need them, right? This is one of them! Plan to feature these dies in your events and share the video. When your customers see what they can do, they will place their orders.